Have you ever thought about what you would do with your garden if you moved? Would you take it with you? How would you adjust to a new climate or soil? How would you manage all the garden projects at the new location? In today’s episode, I interview a garden expert about her experience with making all of these decisions. 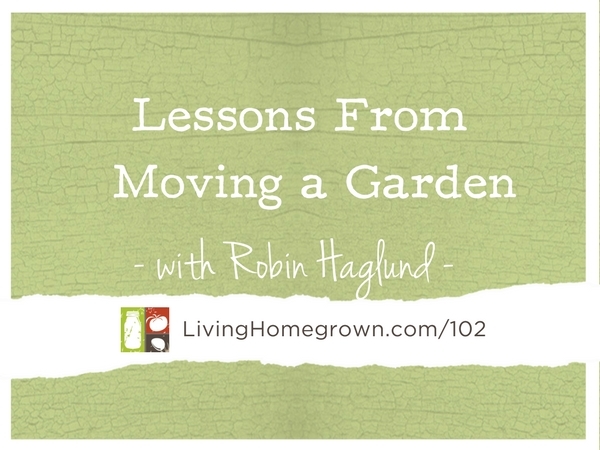 As a garden coach, Robin Haglund has years of experience helping people with garden transitions – including moving. But this time, she was making the shift herself when she moved from a 6,500 square foot city lot to 2.38 acres out in country. With any major garden change, there is always more to learn – no matter how much experience you have. And Robin shares tips and tricks that can help you in moving a garden yourself. 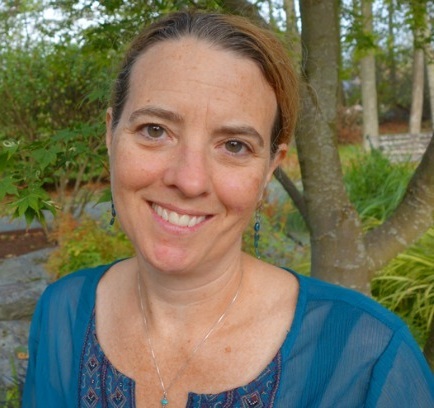 Robin Haglund is the founder and president of the pioneering garden coaching firm Garden Mentors®. She is an award-winning designer, an engaging speaker, a gardening television writer & frequent guest, and a dedicated environmental volunteer. Her articles and seminars are peppered with colorful anecdotes derived from her childhood on the farm, her daily adventures gardening with honeybees, puppy dogs and wildlife living on a protected Pacific NW estuary, and her everyday garden coaching experiences working hand-in-hand with professional & aspiring novice gardeners in their gardens.